While many of the pros continue to rock Spring 2018 Nike clothing on the court, we’re giving you a chance to stay a step ahead of the game. 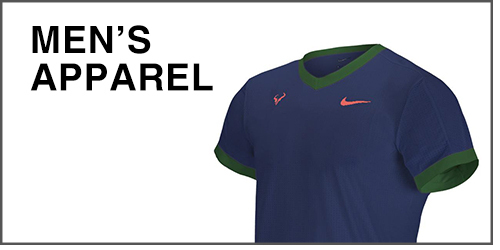 At Tennis Express, we’re now offering Summer 2018 Nike apparel to add to your wardrobe. With a variety of updated color offerings based on current lines, and new products and styles altogether, we have something for every player. Whether you’re a fan of cotton, polyester, spandex, or a combination of fabrics, Nike offers it all in their Summer Collection. 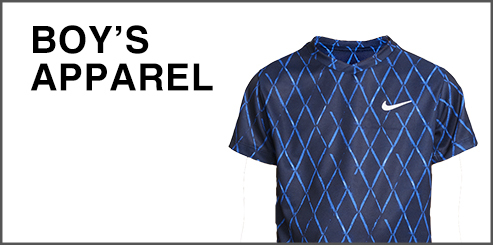 For premier performance, many of the men’s tees and polos in this line feature Nike’s Dri-Fit Fabric Technology to wick away sweat and keep you cool. At left, in Nike’s new Court Checkered Tennis Top in white, is Juan Martin Del Potro posing with his new hardware after defeating Roger Federer at Indian Wells (March 17, 2018 – Source: Matthew Stockman/Getty Images North America). 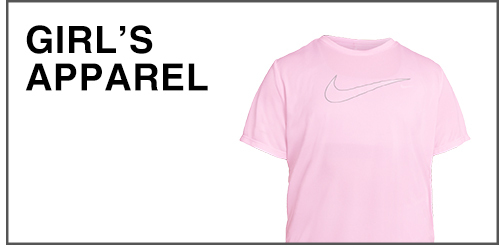 Nike Summer women’s clothing is largely an update of the Spring Collection, and introduces darker color-tones to your wardrobe. 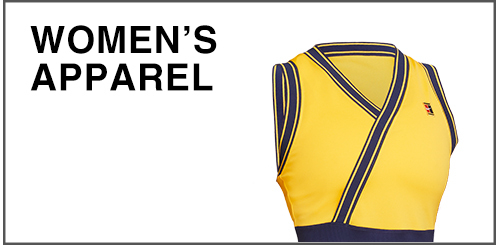 This means that you will benefit from the durable and comfortable performance tops that you are accustomed to. Nike’s Dri-Fit Fabric Technology is present in a majority of these items. At right, in Nike’s Spring Court Dry Slam Tennis Tank, is Petra Kvitova as she shakes hands with Amanda Anisimova at Indian Wells (March 10, 2018 – Source: Adam Pretty/Getty Images North America). The Nike shorts and pants in the 2018 Summer Collection are designed to offer great mobility, and a wide range of motion. The shorts range from 7 inches to 11 inches to ensure that you can find a perfect pair based on your preferences. As with the tops, Nike’s Dri-Fit Fabric Technology is present in many of these items. At left, in Nike’s Spring Court Flex Ace Tennis Shorts, is Grigor Dimitrov playing a forehand in his match against Fernando Verdasco at Indian Wells (March 9, 2018 – Source: Jeff Gross/Getty Images North America). The women’s shorts, skorts, skirts, and pants in Nike’s 2018 Summer Collection certainly live up to expectations. Featuring a variety of breathable, comfortable, and fluid designs, as well as color updates and new pieces altogether, amateurs to professionals can find a perfect fit. As can be expected, Nike’s Dri-Fit Fabric Technology is implemented in many cases in order to keep you cool on the court. At right, in Nike’s new Court Flex Pure Tennis Shorts, is Sloane Stephens playing a forehand in her match against Stefanie Vögele at the Telcel Mexican Open (Feb. 28, 2018 – Source: HECTOR VIVAS/Getty Images South America). To top off your collection, Nike has included a number of hats, caps, and visors to their 2018 Summer Series. With adjustable fits and comfortable materials, this headwear will keep your vision clear and head cool in any conditions.